After using Mamaearth C3 Face Mask and Innisfree Super Volcanic Clay Mousse Mask, I have really gotten in the habit of using mild exfoliants like these that deep cleanse and draw out impurities rather than using harsh scrub particles on my face. The next must-have beauty product for me in this regard is Blossom Kochhar Aroma Magic Activated Charcoal Face Pack. 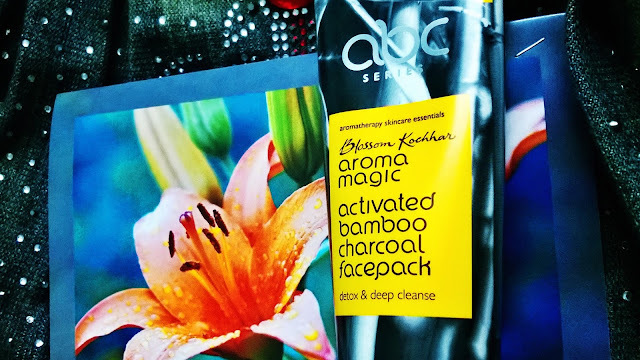 Having used a bunch of Aroma Magic products and loved them really, I was ready to try out this charcoal face pack, and was not disappointed at all. Bought from Amazon for Rs. 450 for 100 grams. Packaging of Blossom Kochhar Aroma Magic Activated Charcoal Face Pack is very simple, sleek in a tube, convenient to travel and hygienic to use. Claims include 6-in-one action of Deep Cleansing, Nourishing, Protecting, Smoothing, Tightening and Brightening thanks to the presence of Himalayan Clay, minerals, vitamins and essential oils. Availability is quite common. It is available on Flipkart, Amazon and other online e-commerce sites. It is also available in offline stores. Quantity is very good, lasts for 3 months even when used on face and neck twice a week. Extremely value for money, like all other Aroma Magic products. Usage - At first, it feels weird to use any charcoal based product because it is black and gives a ghost-like film on face :P But the results are worth it. Simply apply a thin layer (or thick layer,like I do) on face and let it be absorbed in skin for 20-25 minutes. The texture of the pack is neither too runny nor too thick. It does not dry completely, unlike most other clay-based packs. Rather it feels cool and moisturizing on skin. Effect - Like every Aroma Magic product, this charcoal face pack is also based on aromatherapy and has a unique fragrance. It is not very strong or irritating (maybe for extremely sensitive noses, but not for me). From first usage itself, it feels soft, cool and soothing on skin. On washing it off, it really deep cleans face and all impurities are washed off. Skin is left soft, smooth, bright. It also draws out blackheads to the surface of my nose and all I need to do is scrub them lightly using a soft towel to uproot them. The moisturizing effect (due to essential oils) is enough that my oily-combination skin does not need a moisturizer after washing it off! Any active acne or pimple is soothed instantly, slowly it works on acne marks too (very slowly but surely). Also, I have seen my pores (on nose and cheeks) getting smaller so yes, the tightening effect is also there. The results keep getting better with each usage. It is one of the best face packs to be used before a special occasion or party. 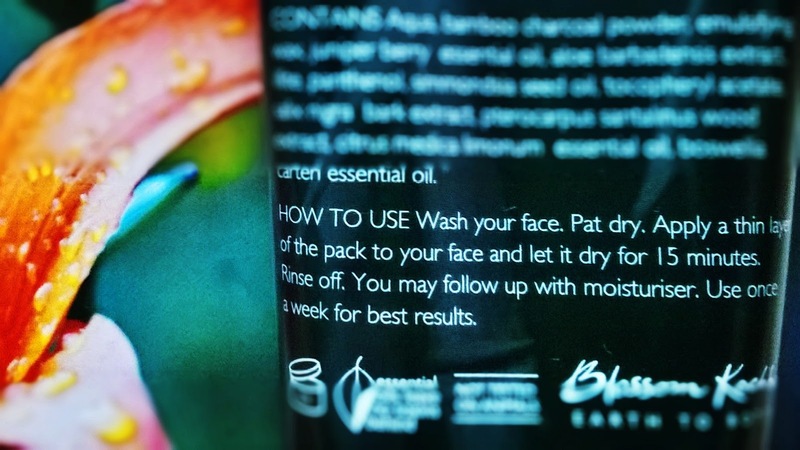 Thank for the review, Use Skinatura Activated Charcoal Detox Body Wash It would give you smooth skin.